Enjoy an unforgettable adventure in the great outdoors! Overnight Camps are an opportunity for participants to enjoy an unforgettable outdoor experience in an organized group setting. A high ratio of staffing is provided to ensure a safe, successful overnight experience for all, while allowing participants to try new things and make new friends. 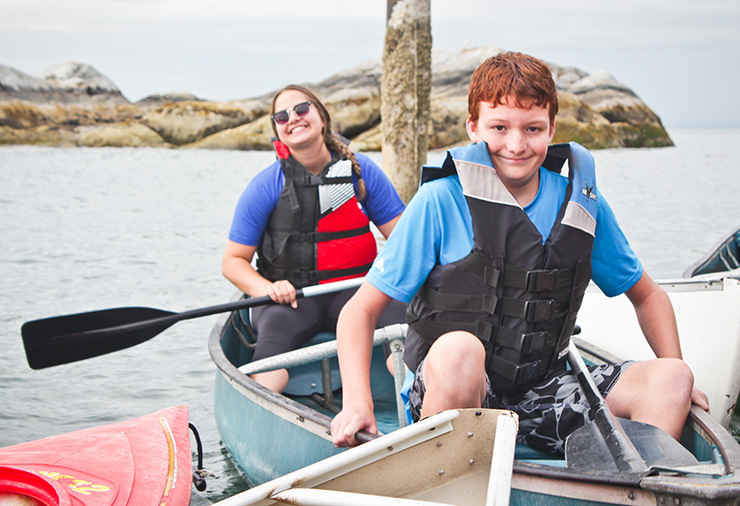 Activities include boating, ropes course, archery, rock climbing, ocean swimming, field games, campfires and more! Participants are grouped according to age for all camp activities and sleeping accommodations. Our Overnight Camp is located on Keats Island in the Howe Sound region of British Columbia. 2019 Overnight Camp will take place in the last week of August with registration taking place in May 2019. Please stay tuned for program details announcement in the May newsletter. Transportation: Participants will depart from Coal Harbour in Vancouver with CAN support workers and travel to Keats Camp (located on Keats Island in the Howe Sound area of BC) by boat. Parents/guardians must take care of transportation to and from the Vancouver drop-off location. Accommodations: Participants sleep in heated cabins equipped with electricity and bathrooms (toilets and showers). Participants are grouped according to age and gender and must bring their own bedding. Meals: All meals are prepared by the facility. CAN works closely with the Keats chef and kitchen to accommodate diet restrictions and food allergies. Medication: A registered nurse will be onsite to support all participants with medication, prescription and non-prescription medication. Camp fees are eligible to be paid through a participant’s Autism Funding. A fee assistance program is also available for those in need. See Payment Options. Participants will be highly supported by trained support workers, and dedicated volunteers. Canucks Autism Network welcomes individuals across the autism spectrum and ensures that the appropriate level of support is provided based on each participant’s behavioural profile. 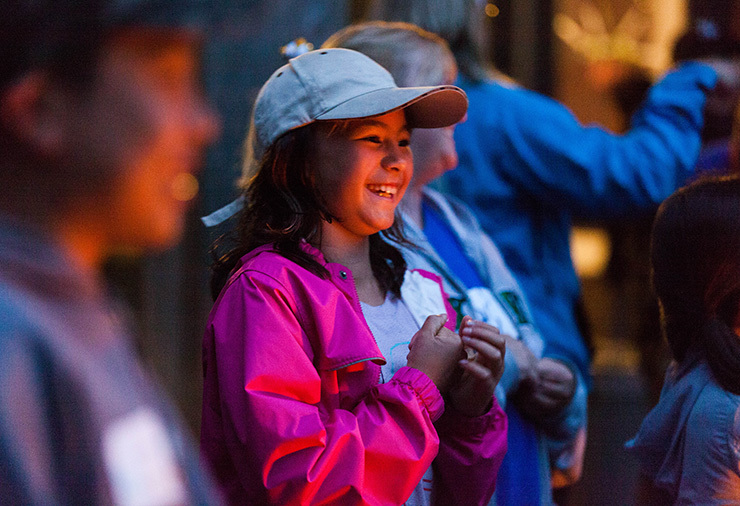 You can access our Overnight Camp Activity Storybook to help prepare your child for the program. Activity Storybooks describe activities or situations as well as the expected behaviours in a given context using words and often pictures. Participants can read Activity Storybooks prior to engaging in an activity to help prepare them and build predictability. Participants can also practice Canucks Autism Network Camp Songs prior to attending camp. Priority will be provided to participants who are traveling from communities where CAN programming is not currently available. This program only runs in the summer. 2019 Overnight Camp will take place in the last week of August with registration taking place in May 2019. Please check back in May for summer program details or subscribe to the programs & membership newsletter to stay-up-to date on program and registration dates.